Religions in Play: Games, Chance and Virtual Worlds. Pano, Zürich, 2012, 23-47. The “Ordenamiento de las tafurerias” is a law code about gambling, established by a certain Maestre Roldan in 1276 or 1277 CE (1314 / 1315 era hisp. 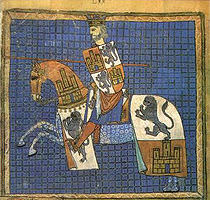 )by command of King Alfonso X of Castile. It represents the most detailed and exhaustive regulation of gambling from the Middle Ages, providing useful information about the practice of gambling, the presumed or real problems connected to it, and the measures taken by authorities. However, it has only rarely excited attention, and in particular the relationship between the Orde-namiento and the medieval culture of play has hardly been studied, although Alfonso, who was responsible for the gambling law, was also the editor of a unique book about games, the so-called “Libro de los juegos.” The article discusses the character and purpose of the Ordenamiento in the context of thecontemporary practice of gambling as reflected in other medieval gambling regulations as well as in comparison to Alfonso’s “Book of Games.” Both the law code and the game book are steeped in a rational approach regarded as a means to control such a conflict-laden activity as gambling. The Ordenamiento de las tafurerias is a law code about gambling, established by a certain Maestre Roldan in 1276 or 1277 CE (1314 / 1315 era hisp.) bycommand of King Alfonso X of Castile. Although it represents the most detailed and exhaustive regulation we have from the Middle Ages providing useful information about the practice of gambling, the presumed orreal problems connected to it, and the measures taken by authorities, it has only rarely excited attention. For a long time, the only available text was the one published in 1836 by the Real Academia de la Historia without commentary. This edition was based on a copy made by the Conde de Campomanes of a manuscript in the library of Don Luis Salazar y Castro, which was already impossible to get hold of at the time of publication.